Greylock Together – Harnessing our strengths. Securing our future. 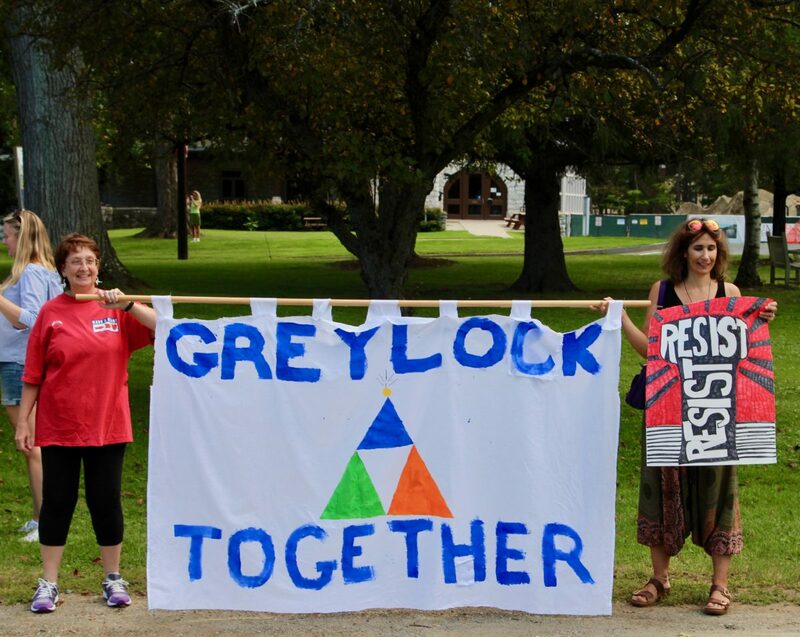 Greylock Together is one of thousands of Indivisible groups fighting for progressive values and a stronger democracy. We are grassroots, loosely structured, and action-oriented. Since the 2016 election, we have supported progressive candidates at the federal, state, and local levels; organized town halls with elected officials; called our representatives about issues that are important to us; organized fundraisers for a more just world; called upon corporations to enact socially-responsible policies; welcomed expert speakers; organized rallies; hosted book clubs on topical issues; and tried to make our community, our nation, and our world more just, equitable, and responsive. Meetings in Williamstown (Williamstown Youth Center) and in North Adams (UNO Center), every other Sunday from 3:00-4:30.